Healthy for all of us. 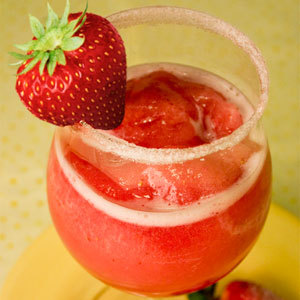 Crush strawberries and suger in the blender. Add pineapple juice very slowly and blend until the texture becomes smooth. Serve chilled and top with some mint leaves and fresh strawberry.